Modern dice tend to have rounded corners (as shown in the image here) and indented pips. Apparently this greatly reduces the amount of plastic required to manufacture the dice, and thus makes them less expensive. Turns out there’s a problem, though, this style breaks the randomness of the dice. They tend to come up as ones about 29% of the time (versus 16.7% if it was truly random). Think about that for a moment. The dice produce ones nearly a third of the time. The main problem is the rounded corners. When that was fixed, the percentage of ones rolled dropped to 19%. Still too high, but much better. The indented pips were the cause of the remaining difference. When the tester used casino dice (square corners with non-indented pips), the percentage of ones rolled was “dead on” correct. And he also learned that casinos had researched this same issue and their results were similar to his. The linked article covers the history of that iconic American institution, Publishers Clearing House. While not as visible as they used to be, the company is still around and holds sweepstakes contests. Back in July, security researcher Cody Brocious demonstrated how to easily circumvent keycard locks that are manufactured by Onity (a popular brand). Now thieves are using the technique to steal items from locked hotel rooms. To make things worse, however, many hotels won’t be fixing the problem any time soon. Update: Onity has changed its mind and is now offering a partial recall of the affected locks, but only to certain customers. Cigarette taxes are typically justified by earmarking them to cover the increased health care costs for smokers, but I think they’re really imposed in an effort to make the cost so high that smokers will quit. In New York City smokers pay an insanely high cigarette tax rate, $6.46 per pack, yet a recent study shows “no decline in smoking among low-income smokers, despite tax increases since 2003”. What’s Up With Typing Two Spaces After a Period? The linked article discusses whether you should type one or two spaces after a period, before starting the next sentence. The correct method is to use one space. 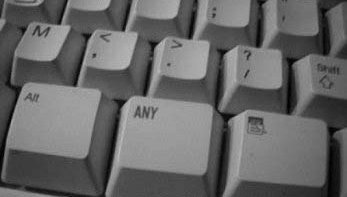 The author covers why two spaces were once used (because of typewriters with fixed-width characters), and why this is no longer necessary for documents written on today’s computers. Sealand is a decommissioned anti-aircraft platform seven miles off the English coast. The occupants have declared it to be a sovereign nation, but it’s not recognized as such, and the UK government has just decided to ignore them. Back in the year 2000, a company named HavenCo installed computer servers in Sealand, making it the ultimate data haven, unfettered by governments, laws, or regulations. Unfortunately, it didn’t work out. The linked article has the full story. The linked article has 10 stupid computer user stories, told by a computer support person. Many of them are too old to be relevant in today’s computer-savvy world, but my favorite is “The janitor’s closet”. October 31st, 2011 was the official day that the human population reached 7 billion. The last 2 billion of that happened in less than 25 years, and we’re on track to hit 8 billion in the next 15 years or so.